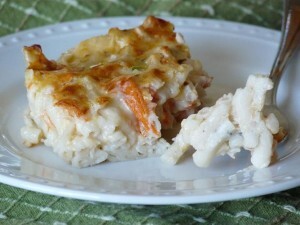 This three cheese and paste casserole would make a delicious side to a slab of barbecue ribs or grilled chicken. We had ours with a beautiful green salad and roasted chicken. Boil pasta until done. 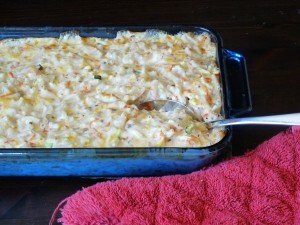 Stir the soup, cheeses, veggies, milk and black pepper in a 1 1/2-quart casserole. Stir in the pasta. Bake at 400°F. for 20 minutes or until the mixture is hot and bubbling. -Substitute favorite two cheese blend for Italian cheese blend and grated Parmesan for the Cheddar cheese blend. -Use peas, broccoli, red peppers or other favorite hardy vegetable.